Riviera Nayarit Mexico Blog: It’s Black Friday in the Riviera Nayarit! It’s Black Friday in the Riviera Nayarit! Find and book the best accommodations with discounts up to 55 percent and interest-free payments! This is the weekend you’ve been waiting for! 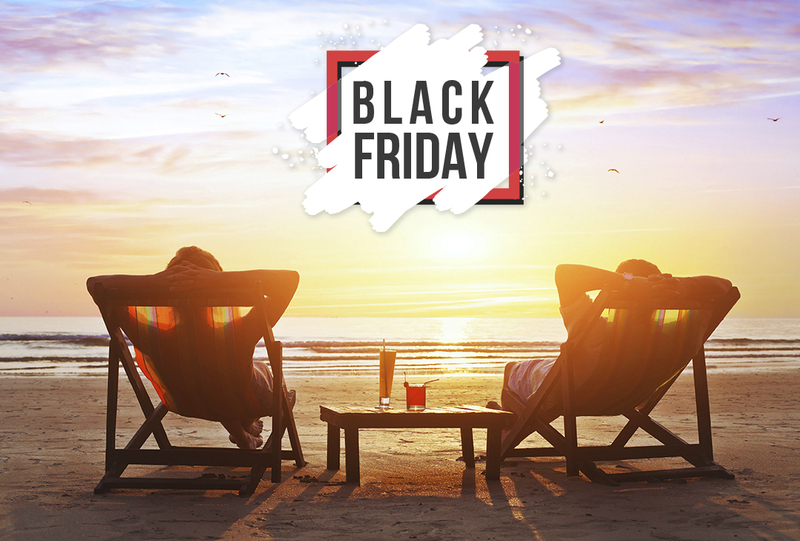 It’s Black Friday—known in Mexico as El Buen Fin (The Good Weekend)—and it’s taking place this year from November 16-19. In other words: it’s the best time for a quick escape to the Riviera Nayarit for a fantastic price! This special Black Friday initiative is being promoted by different brands and companies throughout Mexico to boost business via offers and discounts during the entire weekend. And like Black Friday in the United States, the Buen Fin lasts for four days. Mexico’s Pacific Treasure—via its associated hotels—is joining the initiative with incredible promotions that include interest-free payments and discounts that range from 13 to 55 percent. Reservations can be made from November 22 – 29, 2018. This year there are 28 participating hotels spread out among the different micro-destinations including Nuevo Vallarta-Flamingos, Bucerías, La Cruz de Huanacaxtle, Punta de Mita and Sayulita. Promotions include 3-, 6-, 9-, and 12-month interest-free payments; arrival breakfast; fruit basket and wine in your villa; free WiFi; $50 USD spa credit per adult per night; rounds of golf; theme nights; interactive programs; and 10 percent discount at the boutique. In Nuevo Vallarta: Hard Rock Hotel Vallarta; Ocean Breeze Hotel Nuevo Vallarta; Dreams Villamagna Nuevo Vallarta; Occidental Nuevo Vallarta; Villa Varadero Hotel and Suites; Grand Velas Riviera Nayarit All Inclusive Resort; Hotel Las Palomas; Marina Banderas; Marival Residences; Marival Resort; Paradise Village. In La Cruz de Huanacaxtle: B Nayar, Grand Sirenis Matlali Hills Resort & Spa. In Punta de Mita: Grand Palladium Vallarta Resort & Spa - All Inclusive; Rancho Banderas; Iberostar Playa Mita y W Punta de Mita. In Bucerías: Refugio del Mar; Royal Decameron Complex; Vista Vallarta. There are also direct offers from the Maraica hotel in San Pancho and Playa Escondida Hotel in Sayulita. Take advantage of the special Black Friday offers Riviera Nayarit prepared just for you! The Black Friday promotion was created by the marketing department of the Riviera Nayarit Convention and Visitors Office (CVB) together with the Bahía de Banderas Hotel and Motel Association (AHMBB), with the support of the Government of the State of Nayarit via the Tourism Promotion Trust (Fiprotur), with the goal of allowing tourists and locals enjoy quality services at truly incredible prices.